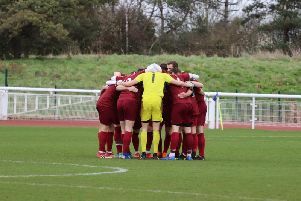 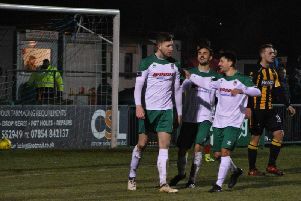 Mason Walsh insists Bognor will take a positive attitude into the semi-final of the Sussex Senior Cup against Brighton U23s - despite a dismal run of form that has left them adrift of the Bostik premier division play-off picture. 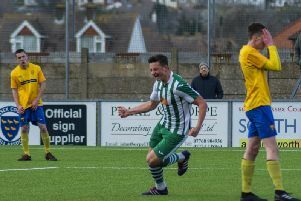 Canadian midfielder Emmett Dunn has signed for the Rocks - but is not fit for the Sussex Senior Cup semi-final showdown with Brighton U23s at Nyewood Lane tomorrow. 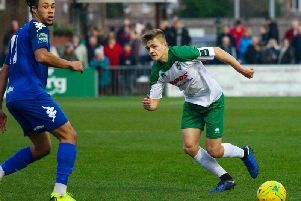 Doug Tuck has told how he got his career back on track with the Rocks after the anguish of failing to make it a professional footballer with Brighton. 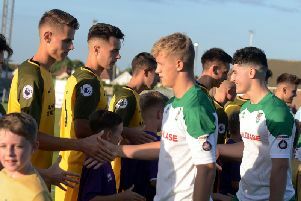 Bognor will get a rare chance to host their own Sussex Senior Cup semi-final – which is likely to go a long way to quelling fans’ discontent over opponents Brighton being allowed to switch the date. 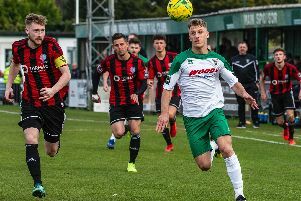 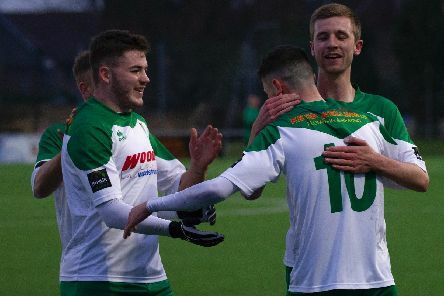 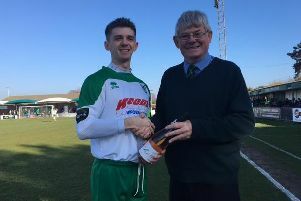 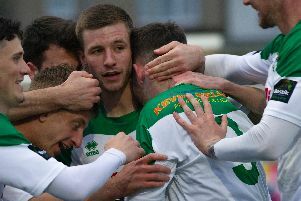 Bognor skipper Harvey Whyte has paid tribute to team-mate Doug Tuck after the long-serving midfielder notched up his 300th appearance for the Rocks. 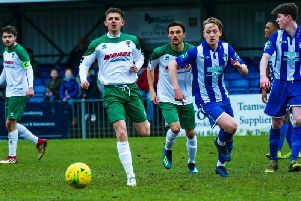 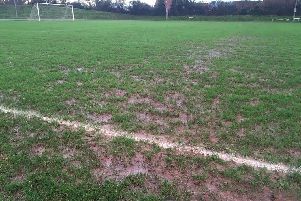 So it’s Brighton and Hove Albion in the Sussex Senior Cup semi-final for the Rocks. 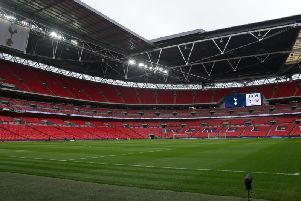 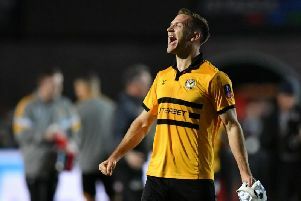 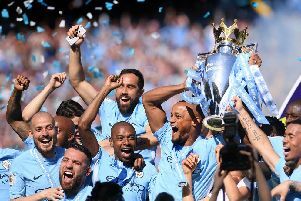 Joe Tomlinson has claimed a Manchester City scalp. 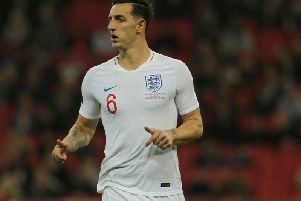 Lewis Dunk says his loan spell at Bognor was a turning point in his career. 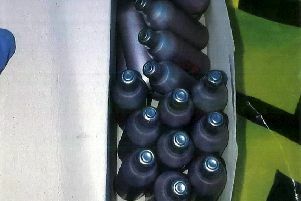 A former Brighton and Hove Albion footballer was caught with thousands of canisters of laughing gas. 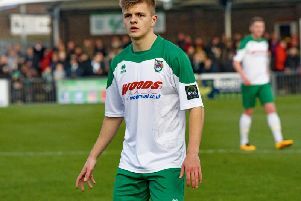 Brighton have told Bognor left-back Joe Tomlinson can continue his Nyewood Lane loan spell.